A hate crime is any criminal offence against a person because of who you are – your race, nationality, religion, disability, sexuality or gender. 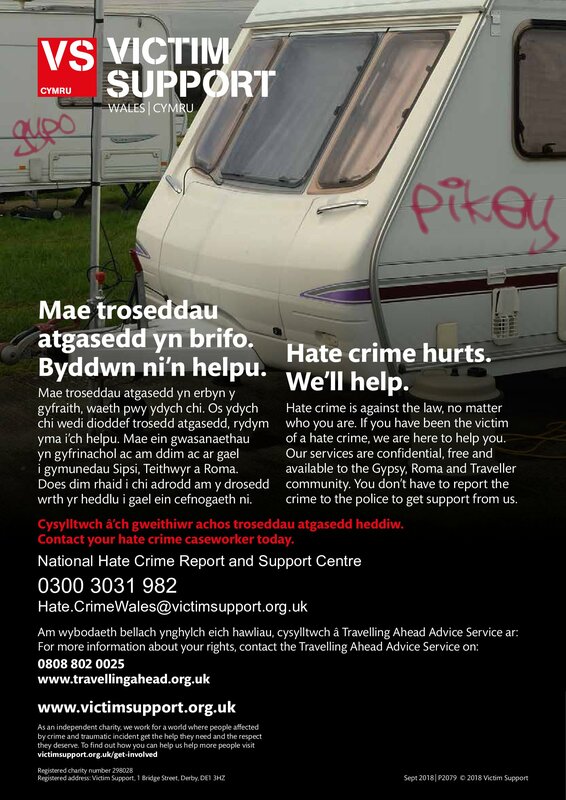 Hate crime against you because you are Gypsy, Roma or Traveller is against the law just the same as for any other minority group – you are protected by the Equality Act 2010 and by the same laws as everyone else. Hate crime can be bullying, hate speech, damage to property, violent attacks, hate mail and social media posts and comments. Hate crime can happen where you live, at work, at school and on the internet. If you would like any confidential advice, support or to report hate crime or discrimination then we can help you at Travelling Ahead. We can listen to you, tell you about your rights in any situation and if you decide to report to the police we can do this with you – and get you support afterwards as well. If you would like a copy of our Tackling Hate Crime resource for use in schools and other training events please contact us.